All medications to be administered at school will be brought to the nurse and safe guarded in a locked area as designated by the nurse. 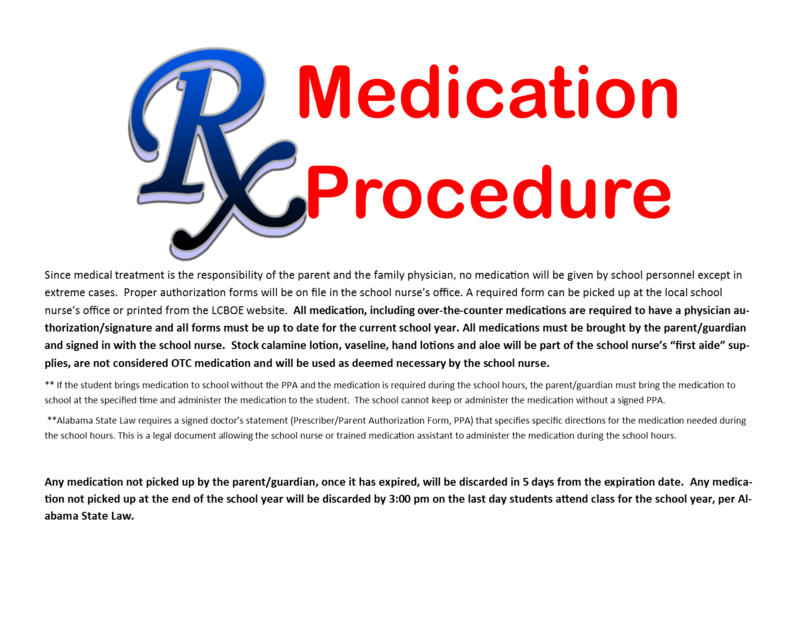 The parent/guardian must sign the Limestone County School System Administration of Medication Form granting permission for the child to receive medication at school. The State Department of Education Medication Form must be used for all prescription medications (short- and long-term duration) and over the counter medications. 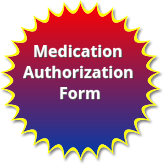 If your children need to take any medication at school you will need to have a Medication Authorization Form signed by a doctor. This is for all prescription and/or over-the-counter medication. Beginning with the 2010-2011 school year, a dose of Tdap vaccine is required for Alabama students age 11 years or older, entering the 6th grade. For the school year 2017-2018, all students in grades 6-10 not previously receiving Tdap at age 11 years or older are required to have a Tdap vaccination. Many parents are concerned about when to keep children who have been ill home from school. These are a few of the most common reasons children should stay home or may be sent home from school. 1. FEVER: Your child should stay home if he/she has a fever of 100 degrees (orally) or higher and should remain home for 24 hours after the fever has gone without medication. 2. VOMITING AND/OR DIARRHEA: Your child should stay home if he/she has vomited or had diarrhea (two times or more) prior to start of the school day. Children with vomiting or diarrhea will be sent home at the school nurse's discretion. 3. PINKEYE: Conjunctivitis can be very contagious. If the white of your child's eye is red and has a thick yellow or greenish colored_drainage, you should keep your child at home until treated. • Drainage due to allergies is usually clear and involves both eyes simultaneously. . Pinkeye can involve only one eye at a time. • Children with pinkeye are usually light sensitive, and complain of itching, burning in the eye(s), swollen eyelids, and dried discharge on eyelids upon awakening. 4. HEAD LICE: Children with live bugs will not be allowed in school until their hair has been treated and all steps have been taken to prevent re-infestation. The student will be excused one day per semester for live bugs. 5. RINGWORM: Ringworm is a fungal infection of the skin, hair, and nails. Ringworms must be covered with a clean dressing while the child is at school. Ringworm of the head (hair) will need to be evaluated by a physician. 6. RASHES: Any child that has an undiagnosed rash should not attend school. 7. COUGHING/SNEEZING/NASAL DRAINAGE: Your child should not come to school with excessive coughing, sneezing, and nasal drainage. If your child has been kept awake at night with these interruptions, please allow the child to recover at home. 8. STREP THROAT: If your child has been diagnosed as having strep throat (this requires a special test by a health care provider), your child should stay home for 24 hours after antibiotic therapy has been started by a physician. 9. UNVACCINATED CHILDREN: During an epidemic or a threatened epidemic of any disease preventable by an immunization required by the Department of Public Health, children who have not been immunized may be excluded from the school until (1) they are immunized against the disease, unless they present valid evidence of prior disease, or (2) the epidemic or threat no longer constitutes a significant public health danger. Please keep emergency phone numbers in the school office current. Remember: A doctor's note and the completion of the appropriate forms must accompany any medications that are to be given during the school day. 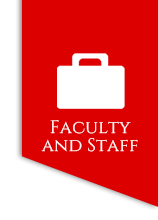 (See the medication policy regarding the temporary administration of medications).